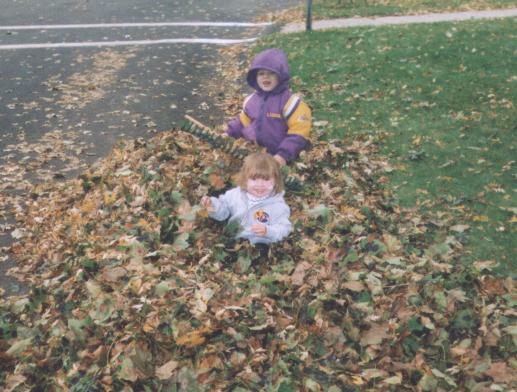 These photos span the time period April to November 2002. 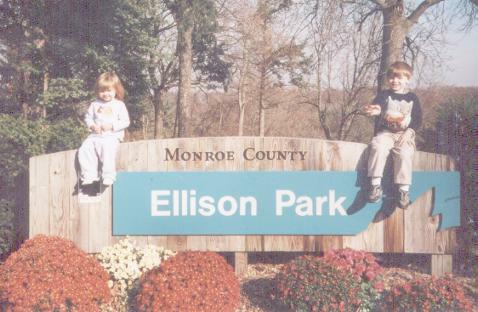 We start at the familiar neighborhood sign overlooking "the big backyard" -- Ellison Park itself. (That's where our area gets its name.) It's a clear illustration to us that the kids are growing. 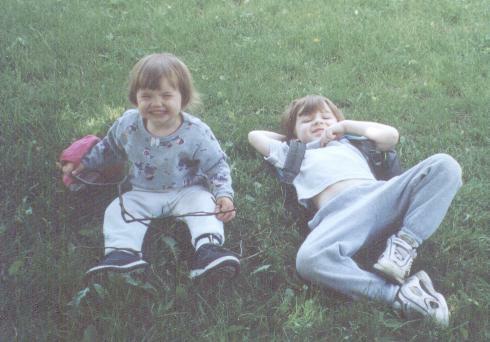 This was taken on Kieran's sixth birthday. 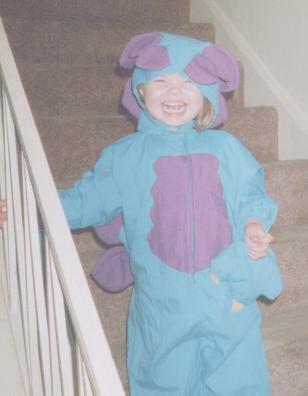 And Thalia was also a big hit in her Dinosaur costume... or was it a Dragon? Maybe a Dino-Dragon? 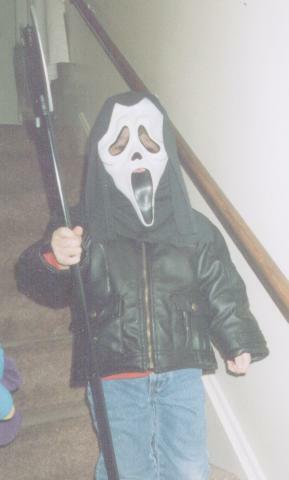 Kieran had worn this costume too, a couple of Trick-or-Treats previous, and once Thalia knew that, she wanted it! 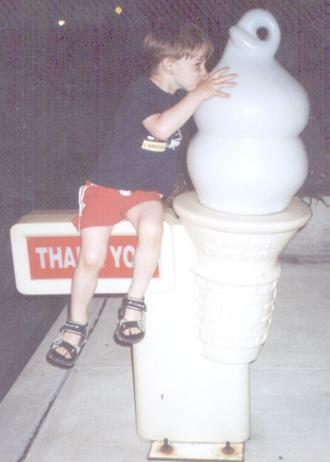 Speaking of "blast from the past," long time viewers may recall a picture of a much younger Kieran posing with this very same ice cream cone, outside one of our favorite Dairy Queen restaurants. Some things change... but some don't, you still can't eat this cone, Kieran! 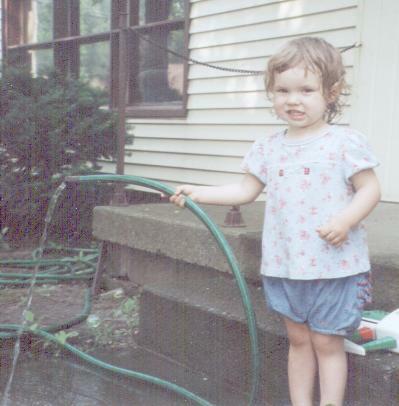 Here's Thalia posing "in the good old summertime," helping with the watering. 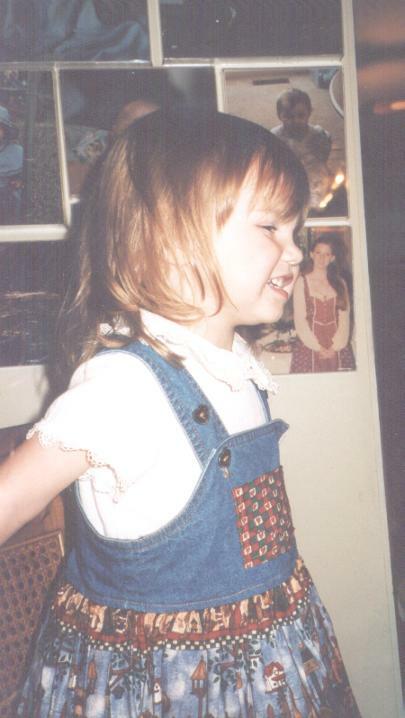 Photo from June 2002. 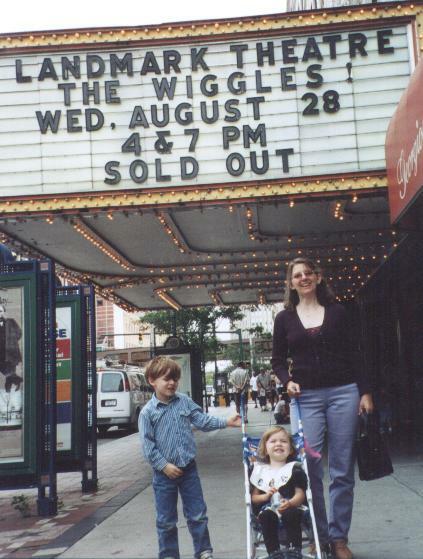 In warmer times (you can see the date), Rosemary poses with the kids on the way to their "first" concert, starring The Wiggles. Sold out! If you haven't heard of them, you either don't have kids 2 to 8 years old or don't watch Disney-- unless you're from Australia, in which case you probably can't miss them. 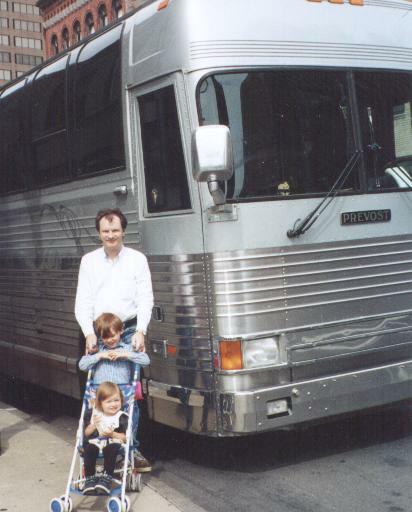 And here's George (in a rare appearance on this page) and the kids, hangin' out after the show, hoping for a glimpse of Murray, Jeff, Anthony and/or Greg, or perhaps even Captain Feathersword, as they board the Wiggles Bus. Hey, wait, aren't they supposed to be using the Big Red Car?!? 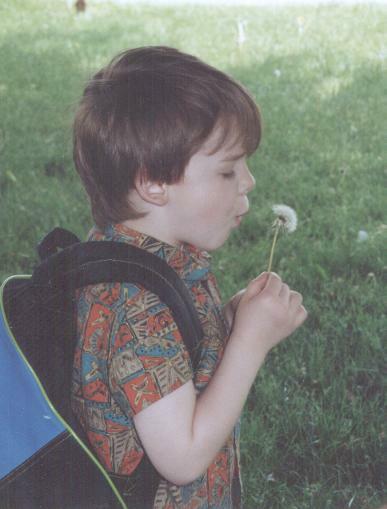 You have to take the time and smell... oops, I mean, blow the fluffy stuff off, the dandelions. What is that fluffy stuff called anyway?